A short drive from spectacular Yosemite National Park, High Sierra RV & Mobile Park sits directly on the banks of the seasonal Fresno River in Oakhurst, CA. Tucked into a mountain setting, and complete with their own swimming hole and two waterfalls! 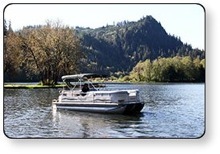 Tucked into the forest along the shores of pristine Loon Lake near Reedsport, Oregon, Loon Lake Lodge & RV Resort offers some of the best RV & tent camping, luxury accomodations, boating, fishing and swimming along the Oregon Coast. A 30-minute scenic drive from Yosemite National Park, Yosemite Pines RV Resort offers a variety of lodging options from luxury cabin & yurt rentals to full hook-up RV sites & tent camping. Features a sparkling swimming pool, convenience store and a petting zoo! 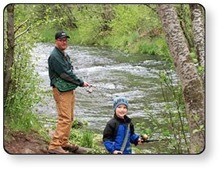 Nestled into the forest directly along beautiful Hat Creek in Northern California, Hat Creek Resort & RV Park is famous for great camping, luxury cabin rentals and terrific fishing. Close to the Pacific Crest Trail and Lassen Volcanic National Park. Where Our Guests Come First! When it comes to camping, it's all about family and friends sharing memorable experiences for years to come. At Guest First RV Resorts, we're dedicated to providing our guests with the finest possible camping experiences. The finest camping experiences the surrounding regions have to offer! Please explore all of our fine resorts. Accommodations, facilities and activities vary by location. Not all locations offer all accommodation types. 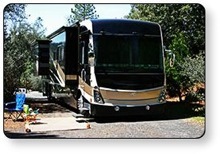 Guest First RV Resorts are some of the finest destinations for discerning vacationers. Whether RVing, tent camping, or renting a cabin, yurt or motel room, our guests can count on a consistent level of quality, courtesy, and amenities at all of our parks. 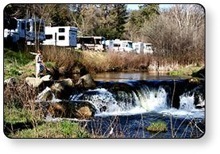 RV sites, tent camping and mobile park on the scenic Fresno River, just outside Yosemite National Park. 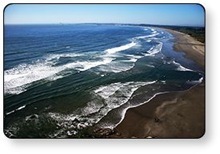 Oregon Coast Lodge & RV Resort offering swimming, fishing and boating on scenic Loon Lake. 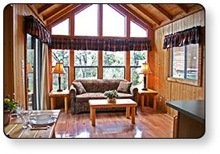 Offering everything from tent sites to large RV pull-thrus, and yurts to luxury cabins. 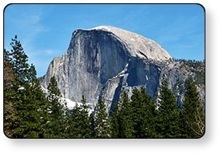 Cabin rentals & yurts, full hookup rv camping, & tent campsites just minutes from the west entrance of Yosemite National Park. 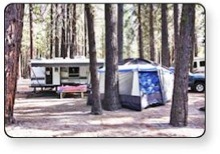 The premier camping & fishing destination on Hat Creek in Northern California's Shasta Region, with lots of camping and cabin choices.